I teased more food and more fun – this post is going to deliver on the fun part but the food part has been bumped to part IV! 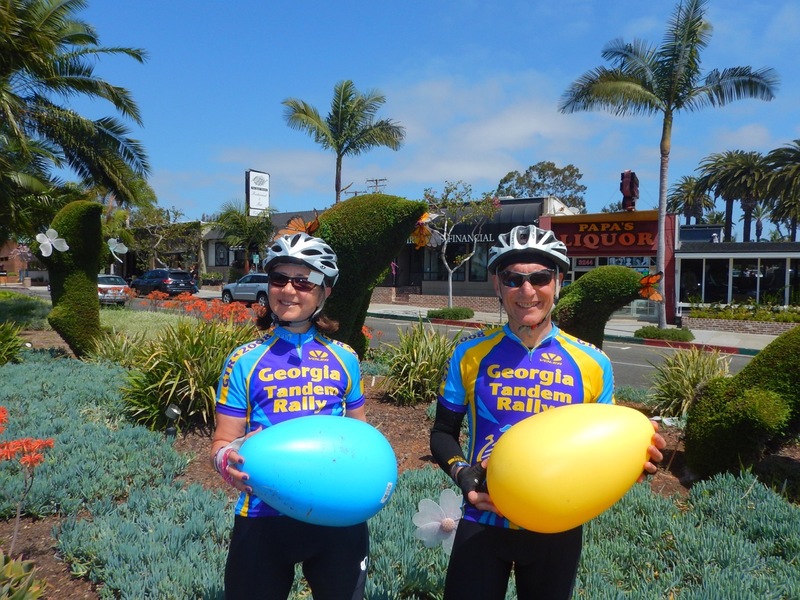 After our off day and visit to Encinitas we did not take another day “off” until we packed the bike up and headed for home. 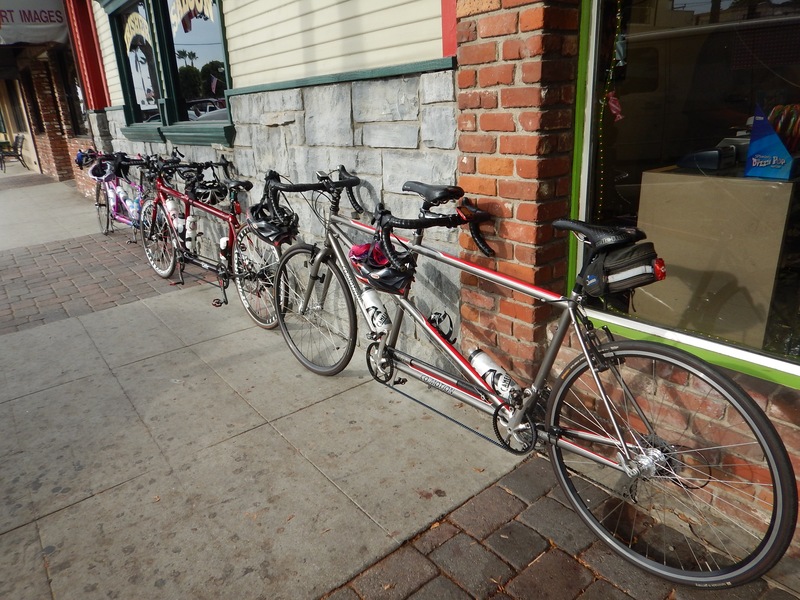 The string of 8 days in the saddle featured cooler temps and stunning sunshiny days. 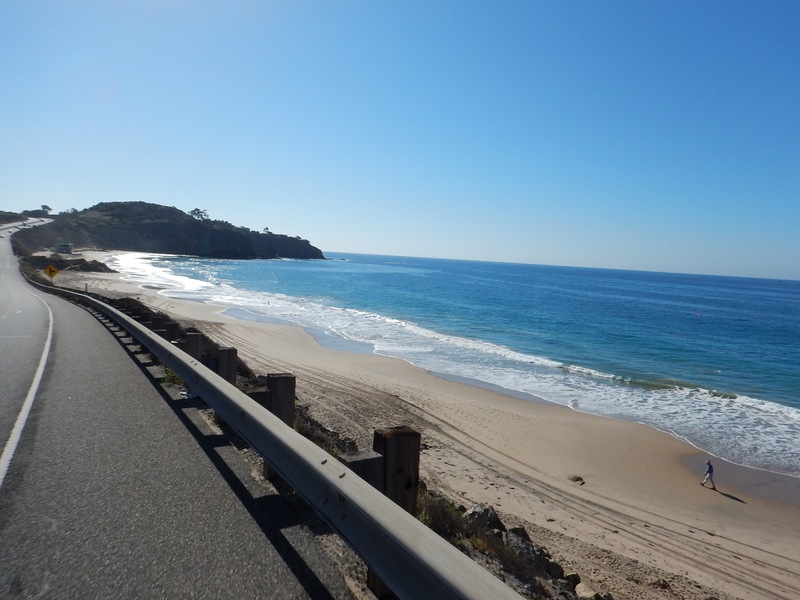 The sun was sparkling, and the ocean was so blue I felt like we were in the tropics when I snapped these pictures riding south on PCH on the way to Dana Point. 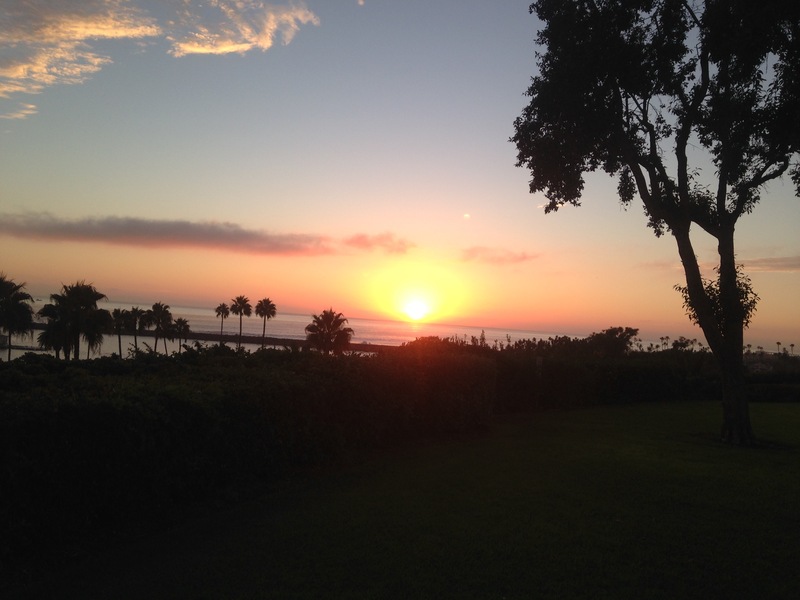 During a Saturday night visit to inspiration point for sunset, we were treated to a romantic marriage proposal and stunning vistas. 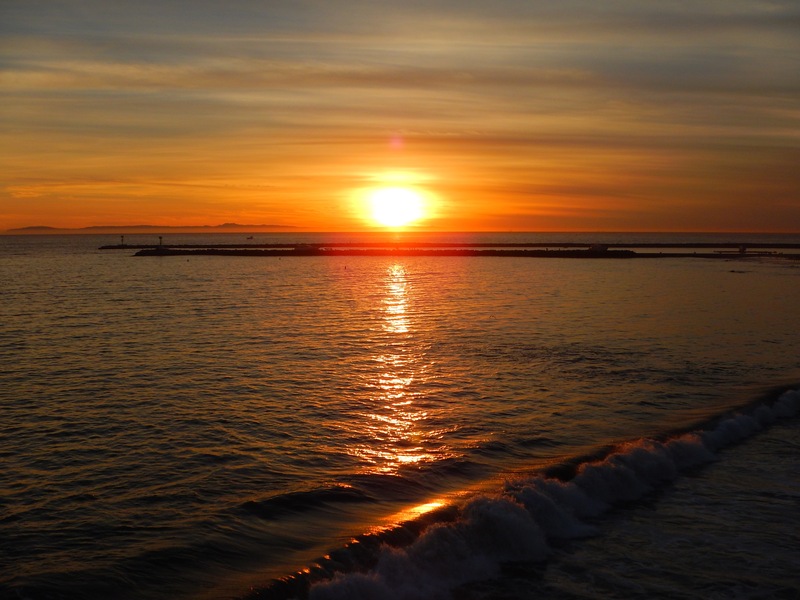 these homeowners have a nightly view of sunset without the walk! 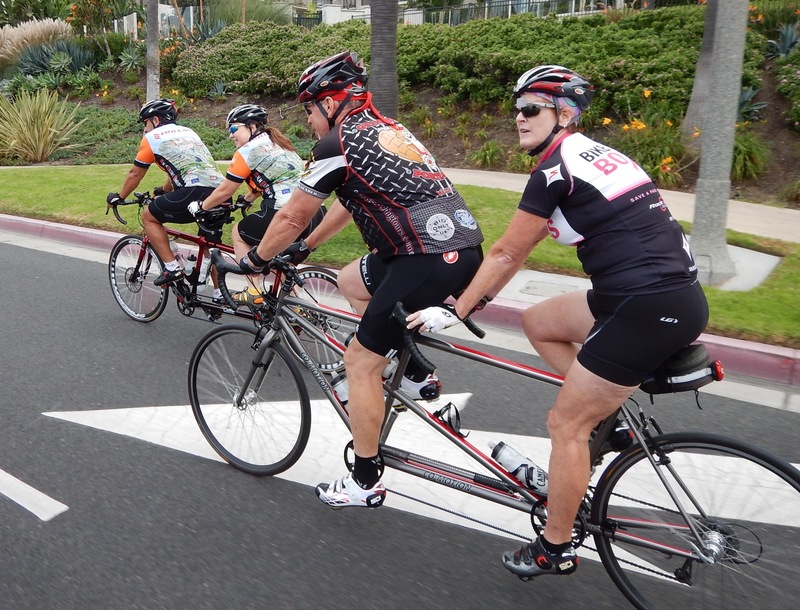 On our last Sunday our new tandem friends Melinda and John organized another group ride. We had a fairly early ride start and Roger was awake for the most beautiful sunrise of our stay. 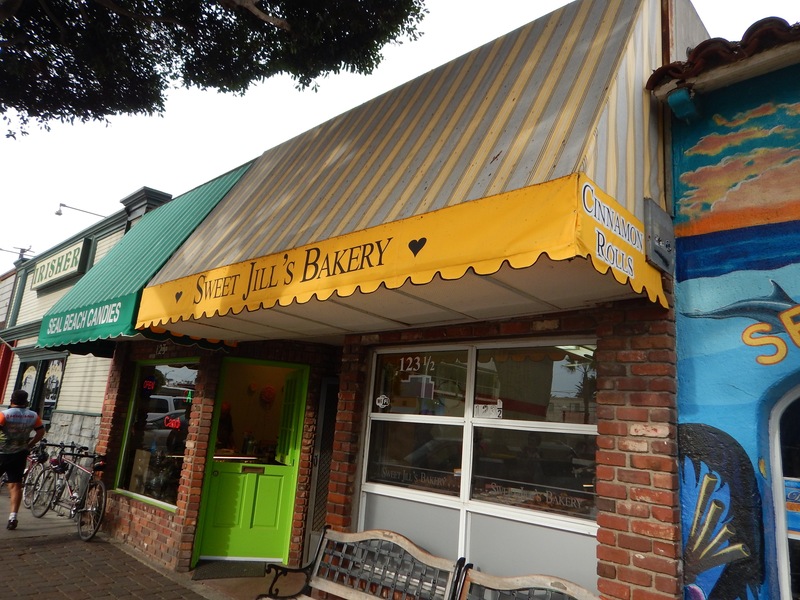 Our destination this morning is Sweet Jill’s Bakery in Seal Beach. 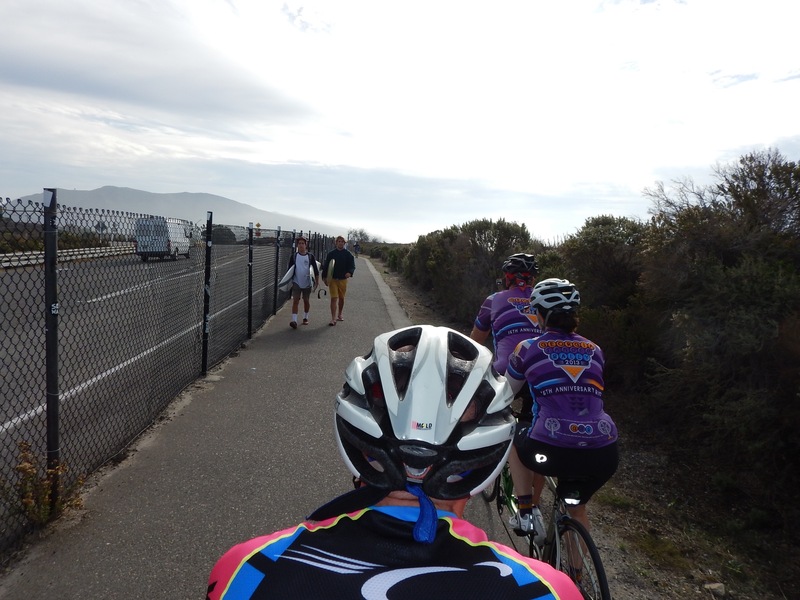 We are a group of 3 tandems and 3 half bikes and we decide to ride up PCH. 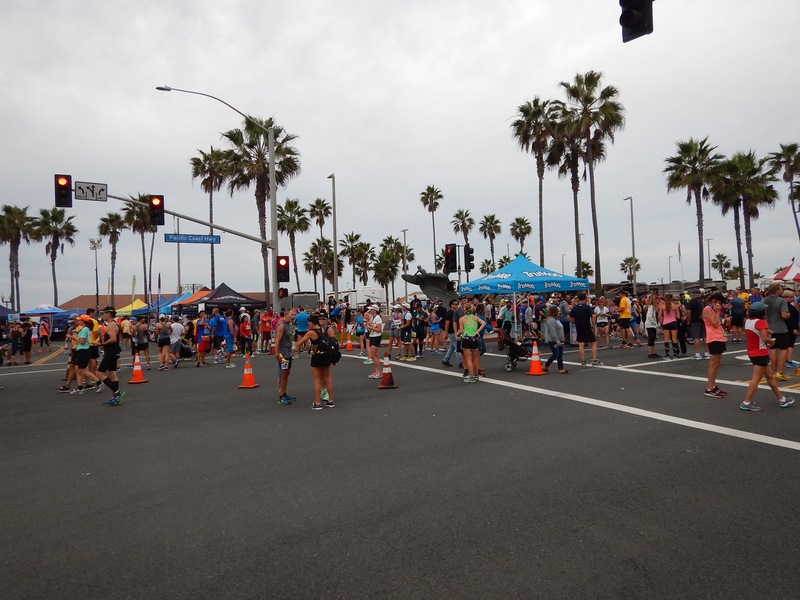 What we don’t realize is that there is a run taking place and almost 6 miles of PCH is closed to car traffic. Runners fill the south bound lanes. 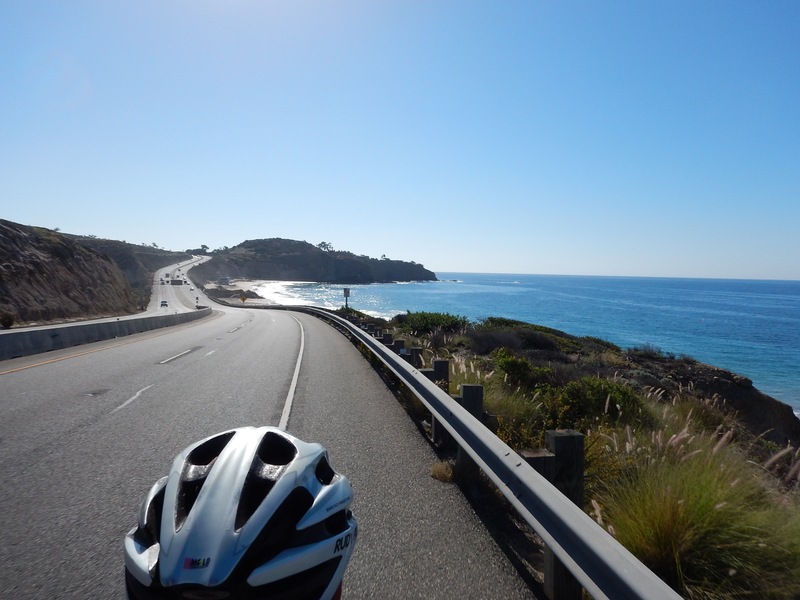 And we are allowed to ride north, so we are riding right down the center of PCH, a wonderful and rare occurrence. Apparently this also happens on the Fourth of July and New Year’s Day! at home we’d say we were riding right down Peachtree! This part of the ride is just terrific, a treat. But the real treat is still to come! The icing is melty because it’s warm! 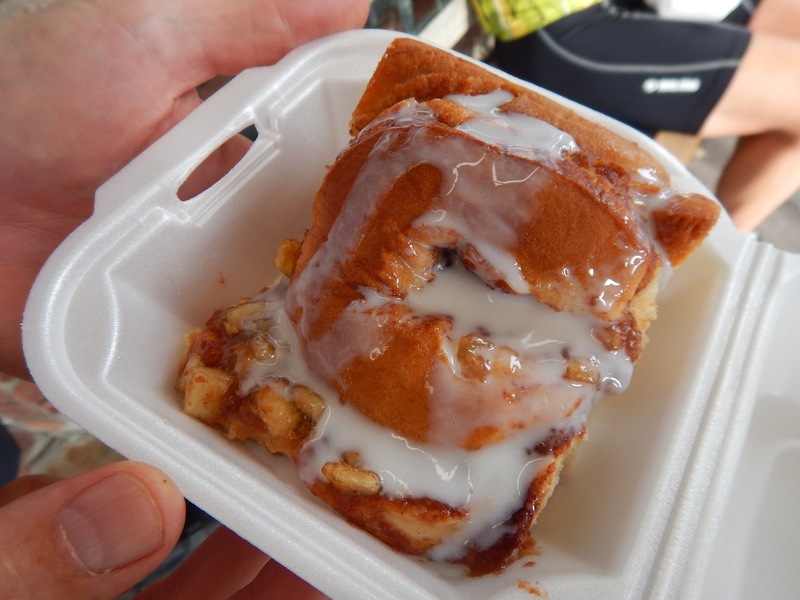 Lots of yum here, and we are glad we share this sweet delight. 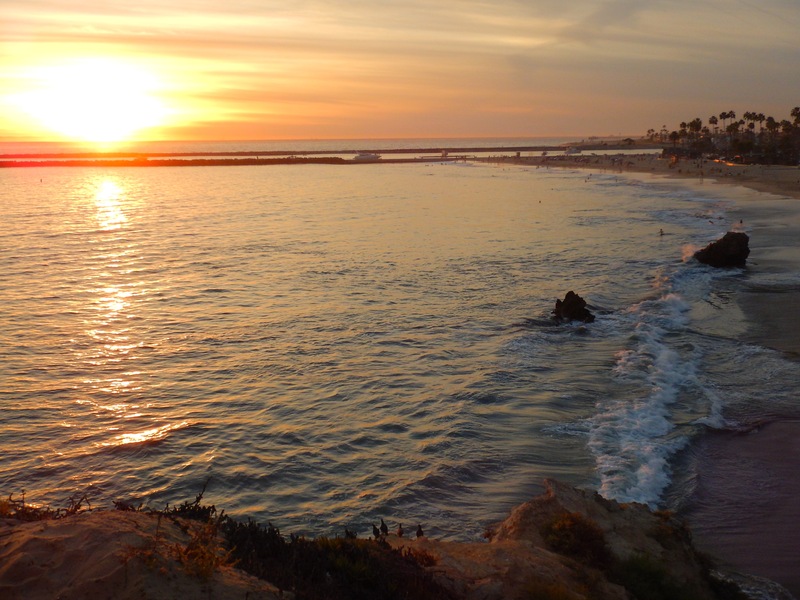 We are having company for dinner this evening, and our riding companions also have commitments, so after we all finish our sinful snacks we make our way back to Newport Beach. We part with new friends and make plans to see them in the springtime. We stop for a photo in CDM with our dolphin friends who are now “dressed up” for halloween. On our last visit, which I didn’t blog about, we saw the Easter display. 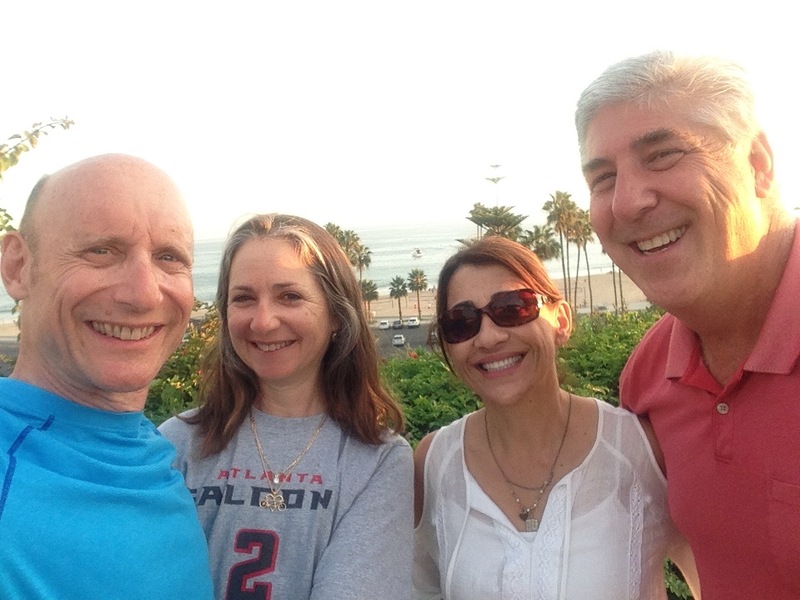 Gene and Nadine are with us for dinner and a stunning sunset. 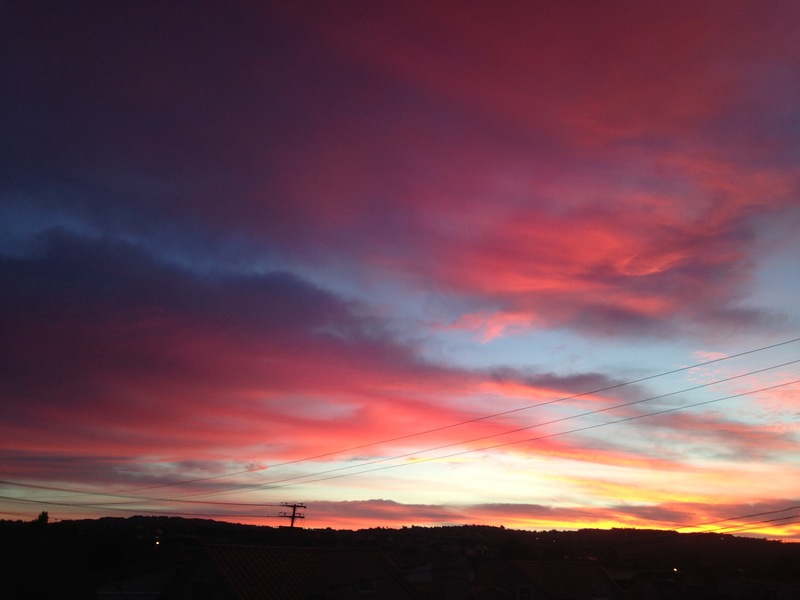 Which leaves us with this sky full of cotton candy. 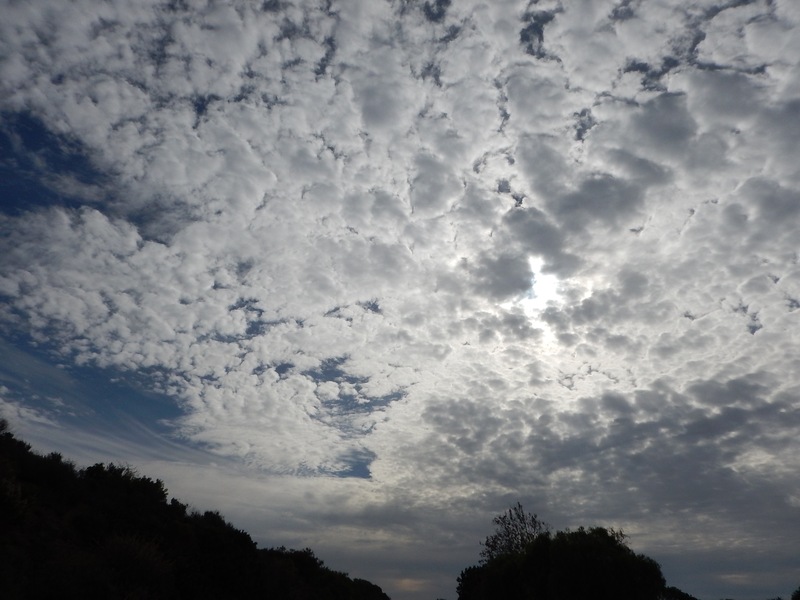 Check out our visit to Crystal Cove State Park. 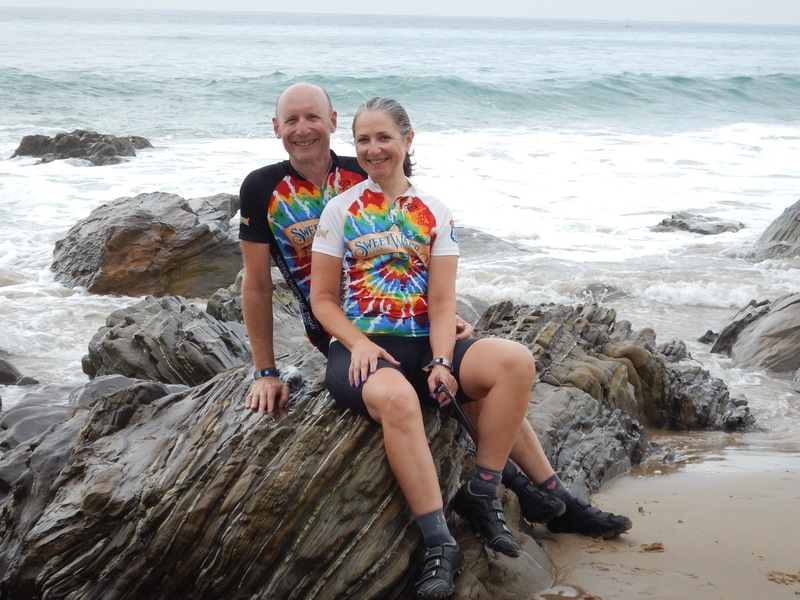 Finally, I have one more riding adventure to tell you about. 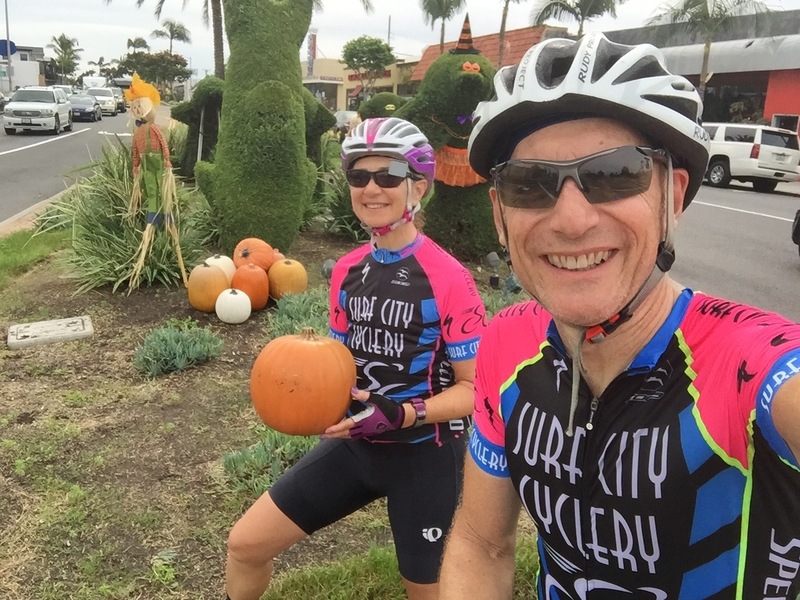 For our last ride, Nancy and Michael meet us in San Clemente (an approximate midpoint) and we enjoy a 34 mile out and back onto Camp Pendleton military base. sharing the path with surfers! that’s not a drone over Michael’s head. We are watching a military helicopter land! 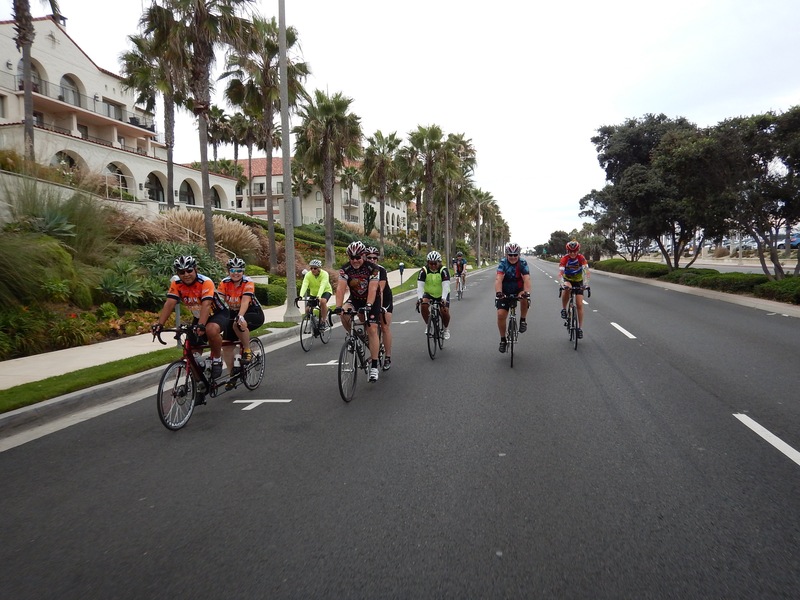 A fun ride with the “vons” and now we are heading home for bike deconstruction and packing! 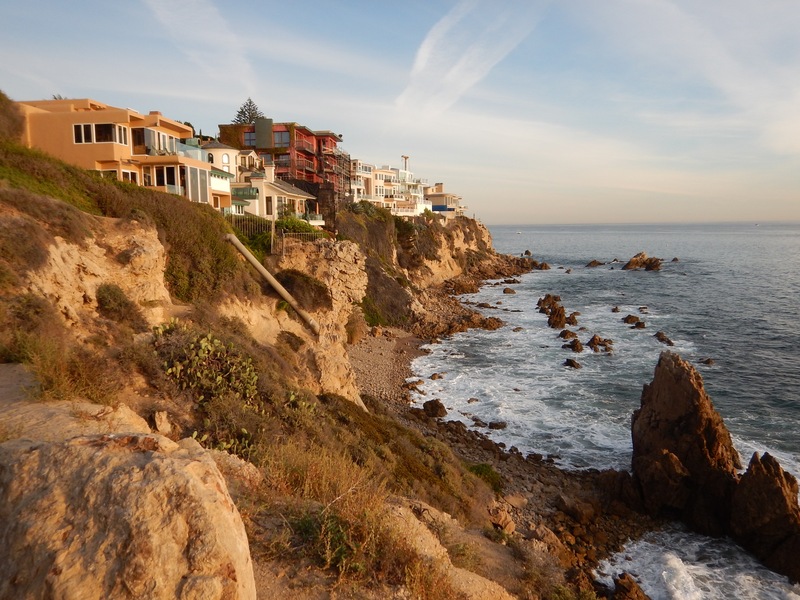 Coming up: we attend an Allagash beer dinner at one of our favorite haunts in CDM.